“. . . what is this intervening/That passes for now but/A box with windows. . .” I am shaken by these poems, over and over lines so wise, so tender, they both weep and laugh as they tumble from the page. I love the quiet authority in the seeing—in the telling—the careful, calm listening, the poet’s life, passing through him, touched and held sacred by him, on its way to each reader. ready with immortality, botany’s cockroach. as though to devour it. beside the gravel as it popped in the heat. grateful to the seed for guidance. Also a translator, Hill’s rendering of Biography of a Runaway Slave, as well as two other novels, was published by Curbstone Press, and he has translated many poems for various U. S. reviews and journals. His versions of poems from Mexican poet Jorge Fernández Granados’ Principle of Uncertainty have come out in Literal, eXchanges, and “Mid-American Review” where the translation chapbook “Constructed on Coincidence” was a feature of the 2010 30th anniversary issue. 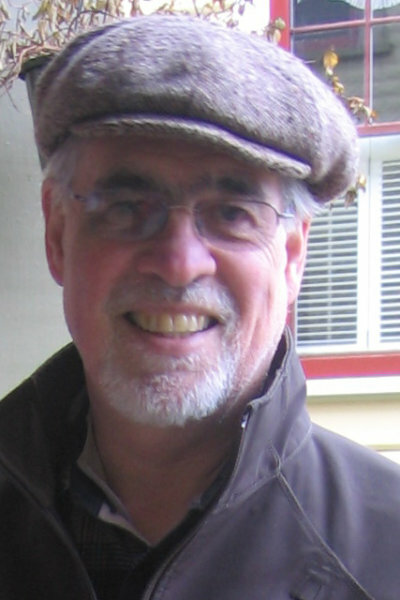 The Americas Review, The Bilingual Review, and others have published Hill’s bilingual and Spanish-language poems. Mundane Rights / Ritos Mundanos, his bilingual chapbook, was a finalist in the 1997 Sow’s Ear Poetry Review chapbook contest.